Was a xmas gift for my boyfriend he loves it!!! 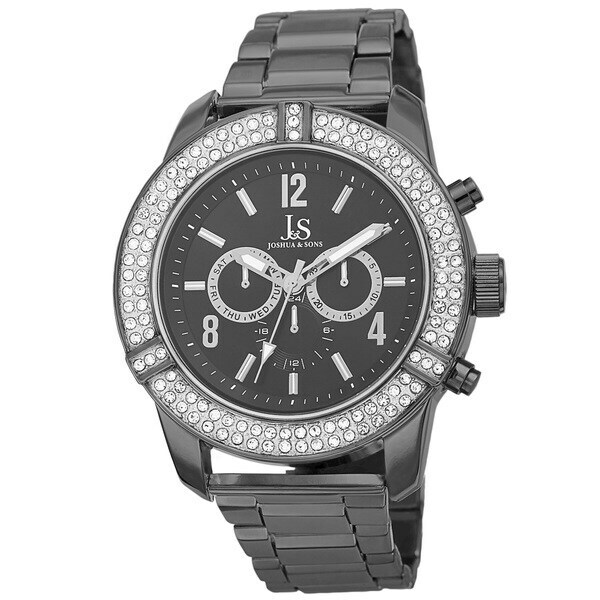 This eye-catching timepiece from Joshua & Sons features two rows of crystals on the bezel. The sunray dial and Swiss quartz movement, displays three subdials including the day, date, and dual time zone. This dazzling timepiece is sure to impress.